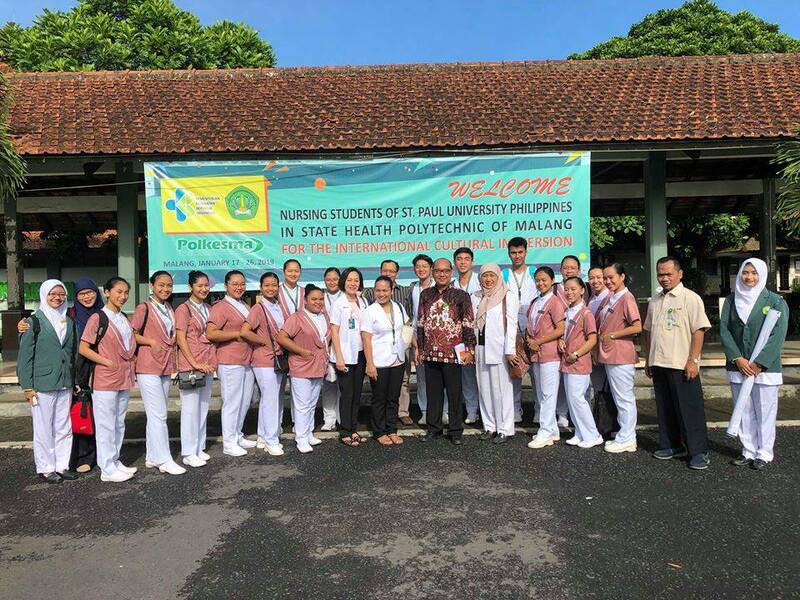 In its aim to promote intercultural learning among its students, SPUP College of Nursing sent 16 student-nurses and two clinical instructors in the International Cultural Immersion in Malang, Indonesia on January 15-26, 2019. The cultural immersion was organized by Politeknik Kesehatan Kemenkes Malang. The said activity exposed the students in clinical observership in government and private hospitals, community visits and immersion and intercultural dialogues and collaborative activities. Moreover, the participants also had their basic Bahasa language class and undergone skills laboratory didactics, lecture and return demonstration on care of patients with restraints, mental health assessment, therapeutic communication, medication administration in the psychiatric ward. The student nurses had also engaged in Indonesian culture, art and history as they had museum tour and city tour around Malang City. The 11-day immersion program ended with a cultural show with various performances featuring both Filipino and Indonesian culture. Among the participants were Irishe Suyu, Danielle Ramos, Mawi Amistad, Elysse Joaquin, Deanna Vasquez, Jamaica Dineros, Kazmhir Canceran, Sychie Narag, Sesrine Buendia, Sania Lingan, Heron Lopez, Fernando de Rosas, Yashmine Ancheta, Edelynn Tumamao, Cloudine Datu, Athelene Lopez and clinical instructors namely Mrs. Esther Gorospe, MSN and Mrs. Lilian Gonao, MSN.